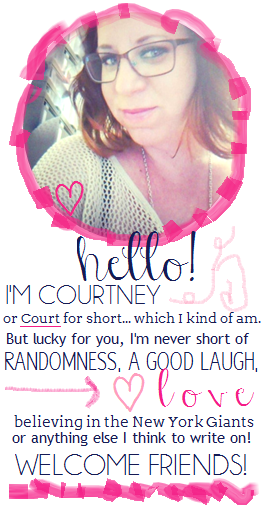 Write on Court: It's a Scentsy giveaway! I thought to myself this morning "YOU should totally host a giveaway on your blog. You SHOULD totally do it today. You should TOTALLY giveaway a Scentsy warmer and a bar of their choice to a very lucky person." Well because I love you all oh so. Because Justin Timberlake is coming out with new music tomorrow. Because I woke up on the right side of the bed. I decided to listen to myself. Here's what to do. We need to be friends. Seriously, I'm pretty cool and you need to be following this blog. Go to my Scentsy Page and do some shopping. Pick out a warmer and a scent that you love and absolutely have to have. (This is not as easy as it sounds... There's so many amazing choices!!! But I gotta make you work for it!) Go to my Facebook page and like it. You can always follow me on instagram (user name courtneycakes) And Twitter. And then leave me a comment letting me know which warmer and scent you decided on. That's it! Pretty easy right? I like the Coconut Palm scent and the Corten Full Size Scentsy Warmer! Hi! I'm a new follower!! Stop by www.pinkfaithtoday.blogspot.com if you have some time! Honestly, I adore the Jolly warmer and would love to have that next Christmas. If not, the BYU warmer would be awesome. Either way, I'd choose Cinnamon Vanilla. I would love the Loom Warmer and the Sugar Cookie sent sounds amazing!! I absolutely love the Tilia Mid-Size Prem. warmer and the Awakening scent bar sounds like it'd be a calming, well-needed scent! Gah. I left my warmer/scent choices in another box, but I'll repeat them. I have so many warmers, but I love the silhouette ones. And I'm dying to check out the frosted ginger cookie scent. I want them all! I really love the Whoot Owl Warmer and the Blueberry Cheesecake Scent! I like the whoot (owl) warmer with white tea & cactus scent. I love Scentsy! I have never tried it before..BUT my Aunt threw a party once for it. and the Smells were delicious! And the items were even cuter too!! Sweet Pea & Vanilla & Malta Full-Size warmer! I had the hardest time trying to figure out which warmer I liked the best! I narrowed it down to my top 3 and then finally picked the one of those I liked the best. I love the silvervine warmer and sugar cookie scent!! I would love the palette warmer and the camu camu scent.